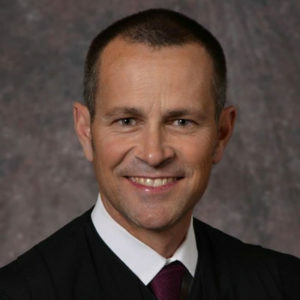 Thomas Gilligan (’86) is a District Court Judge in Ramsey County, Minnesota. Prior to his appointment to the bench in 2014, Thom was a trial lawyer and practiced for 24 years with the St. Paul law firm of Murnane Brandt in Minnesota and Wisconsin. He has been recognized for his pro bono work as a guardian ad litem and on behalf of victims of domestic violence. Thom was deeply influenced by the scholarly energy and activism of Professor Harvey Goldberg. Thom lives in St. Paul with his wife Ann and their three children.